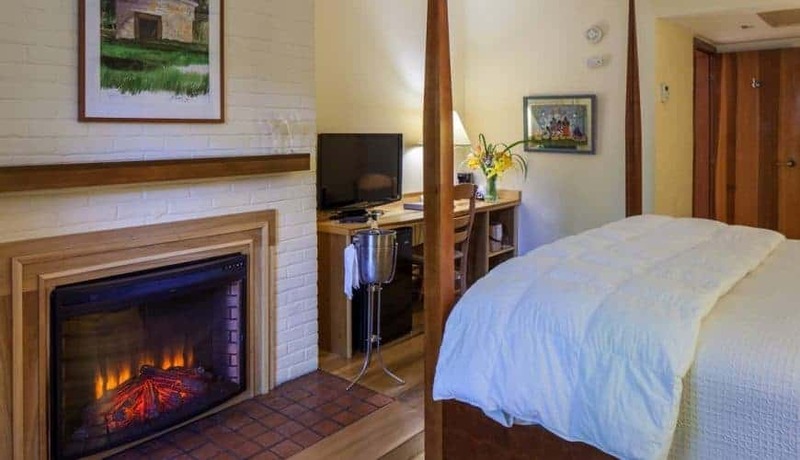 Located in the Rosebank building, the Fireplace Lakeview rooms offer guests overnight accommodations in one of New Harmony Inn’s most popular room types. Poplar hardwood floors, Harmonist-style furnishings, and individually selected artwork are among this room’s key features. 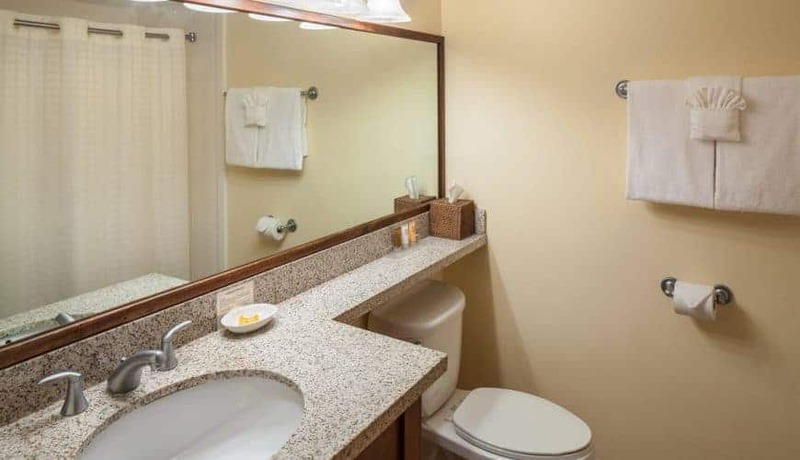 This option provides the guest with one (1) King or one (1) Queen size bed, views of the lake and grounds, walk-out patio or balcony, and an electric fireplace. *Pet fee applies – please read our pet policy. 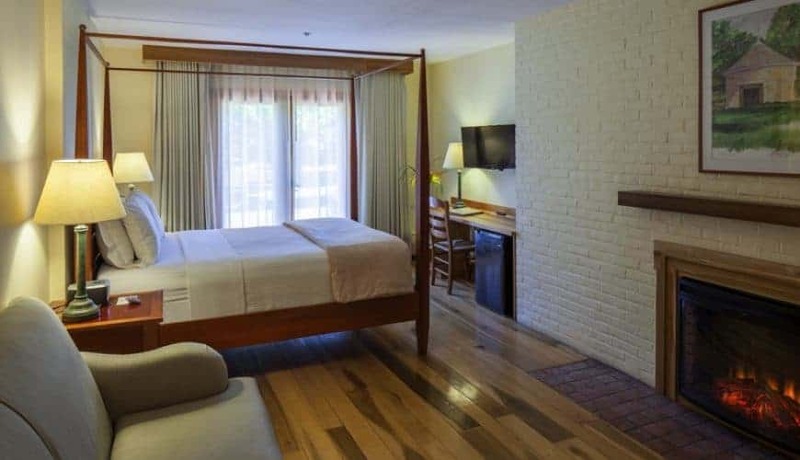 In the event you need to cancel your room reservation, contact us within 48 hours prior to check-in (3:00 pm central time) for room deposit refund. If you do not contact us 48 hours prior to check-in, you agree to forfeit your room deposit. Very relaxing. The indoor pool makes for a must winter getaway in Southern Indiana.